Allin p’unchay kachun! Imaynallataq kasanki? My name is Wiley, and I served (entirely unexpectedly) as the volunteer participant on this year’s Cusco + Sacred valley retreat. 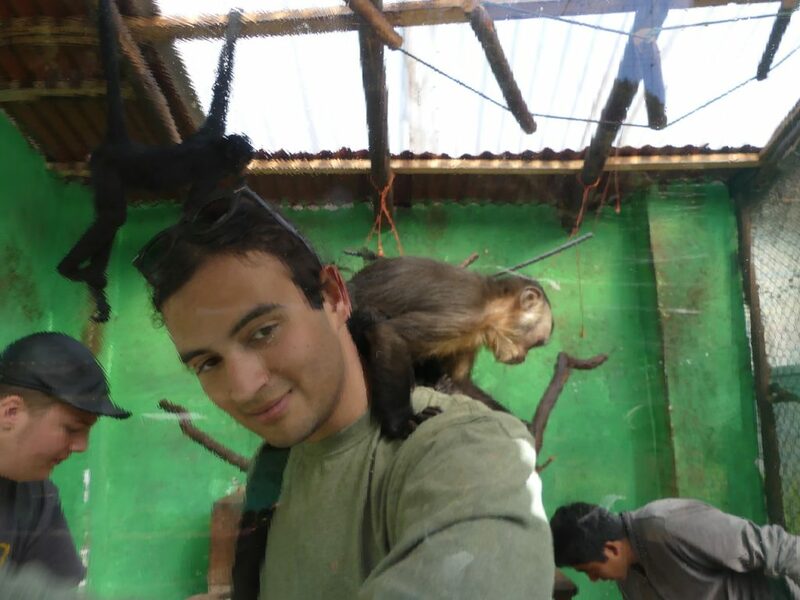 This was my third retreat with PWS overall, and my second time with them in Peru, having participated in the first retreat there five years ago. Said first retreat was my first considerable amount of time spent outside of the United States without my family around, and needless to say it shaped my growing mind’s perception of travel and conception of global citizenship to no small end. 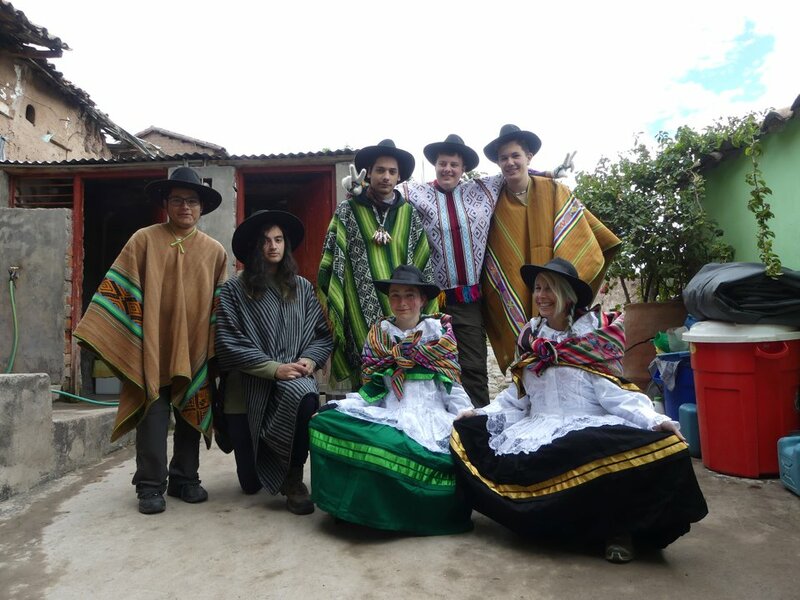 That is not to say, however, that this second visit to Peru with PWS was simply a repeat of the first. One area that I was especially interested in going into this retreat was seeing how the country had changed since my last visit. Growing up visiting family in India every few years, I knew to never underestimate how much can change in solely a few years’ time in a quickly developing country like Peru. Old shops in Cusco’s historic Plaza de Armas replaced by American chains catering mainly to tourists; the smells of boiled choclo corn, fresh cheese, and emollientes wafting by those of fried chicken, cheap beer, and overpriced lomo saltado: The streets came to life with crowds more heterogenous than ever, communicating and enjoying Andean life in a potlach of faces and tongues. The mountainous navel of the world is now the largest and most prosperous it has perhaps ever been—though it remains to be seen to what degree Cusqueños are able to reap this prosperity. See, tourism has sent Peru’s economy through the roof, but egregious levels of government corruption funnel an inordinate amount of the resulting capital into the self-aggrandizing pockets of politicians; those with power and governmental influence (mostly in Lima.) 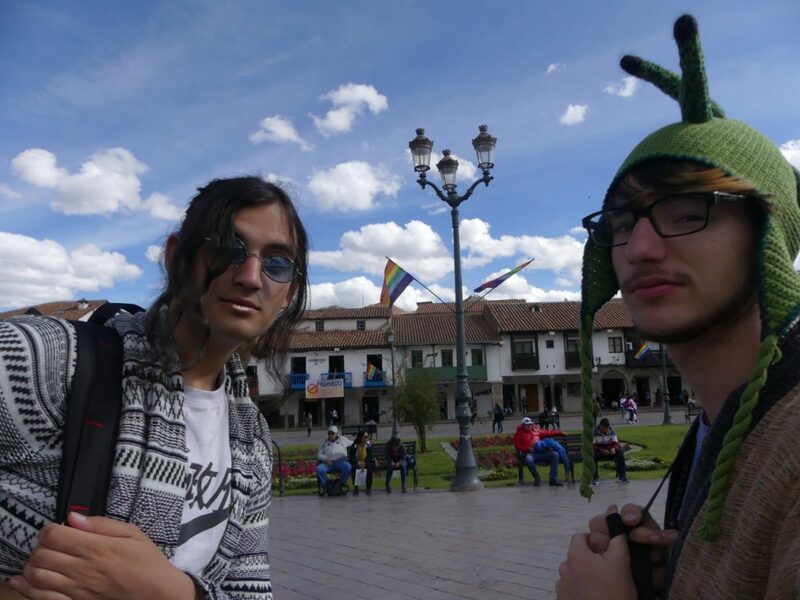 Large tour companies who deal mainly with government backed attractions coordinate with even larger foreign hotel chains, snatching up more and more precious space in Cusco’s historic district. Road are improved and rails built expressly for the purpose of funneling upper middle class Americans (and the like) to and from major attractions. Meanwhile, high rates of poverty and unstable access to medical care in more rural areas show unimpressively few signs of improvement. In addition, dramatic, corruption-fueled tax increases have lead to the excessive inflation in price of basic household commodities (According to our friend Edyy from nearby Chinchero, brooms may now cost upwards of 50-60 soles.) With this increase in big bucks tourism for a wealthy, foreign clientele used to the laws and customs of North America, more rules, regulations, and restrictions have come into place, especially surrounding ancient ruins and other sacred sites. Beside the throngs of tourists lining the walkways of Plaza de Armas, comics by Cusqueño artists boast slogans like “We own the cow, but they harvest the milk.” It seems that in many ways, mainstream tourism is making the Peruvian elite wealthier while impoverishing and restricting the lives and customs of Andean people- a neocolonial nightmare. 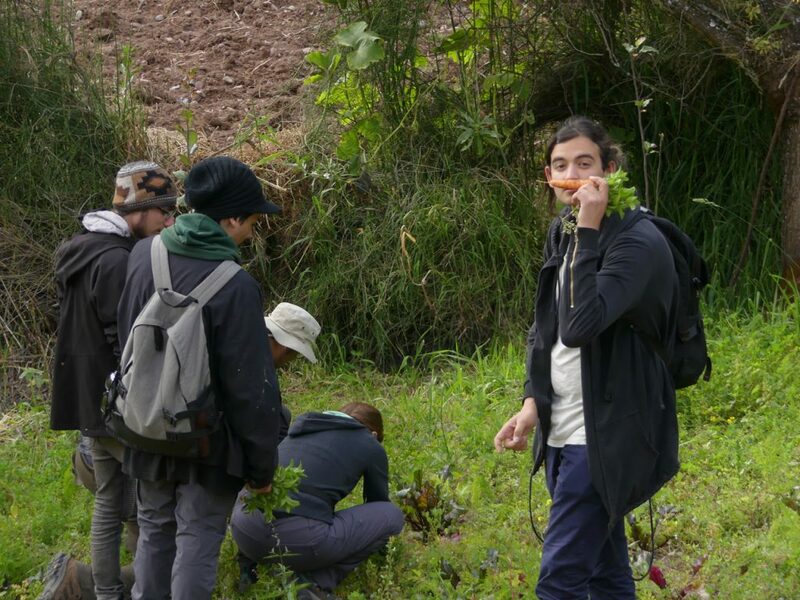 Project World School’s approach to travel, immersion, and community, however, offers a pure mountain spring in contrast to this polluted mainstream- a quite admirable aspect that reflects the compassion and nomadic know-how present in Lainie and Miró themselves. Building off of the connections made through spending everyday life in Cusco, they work with local family run businesses and people to both deliver an authentic and unforgettable cultural experience and ensure that money is going to the people who deserve it—those who farm the land, raise the livestock, weave the cloth, and herd the alpacas. 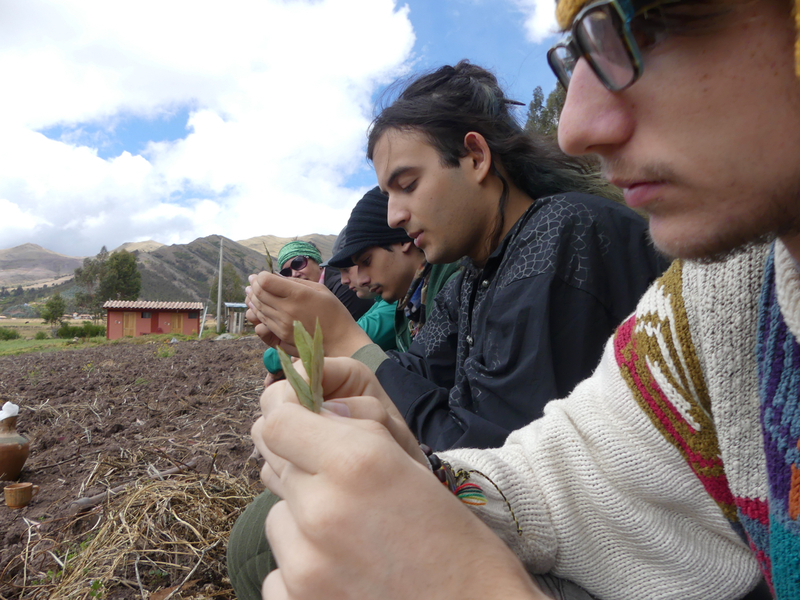 On this retreat, as with the preceding Cusco retreats, we visited Edyy and his family’s beautiful villa in rural Chinchero; dug potatoes, built a huatia, and learned to weave. Edyy has expanded his business since Lainie and Miró got started with him several years ago, and seems to be doing quite well for himself and his family. In anticipation of our arrival, they prepared cuy for us, normally reserved for special occasions and honored guests. I had no idea that they would be doing this, and was taken aback by this gracious treatment. I love that in the spirit of community fostered by PWS, these familial interactions with the people we work with and learn from are not out of place in the least. Whether it be a warm hug and complementary granadilla from fruit vendor Techi, a delicious meal and beautiful smile from talented chef Kari, or two wondrous days of fresh milk, produce, bread, chichi fermentation, dancing, and storytelling with Alain, his mother Teofila, and the rest of their family in the town of Paruro; the type of tourism that this retreat involves carries an emotional impact far greater than that of a big bus tour with the ultimate goal of enriching one’s Instagram with a well angled yoga pose shot in front of Wayna Picchu, and sustains and enriches locals enthusiastic about their home and culture as a result. 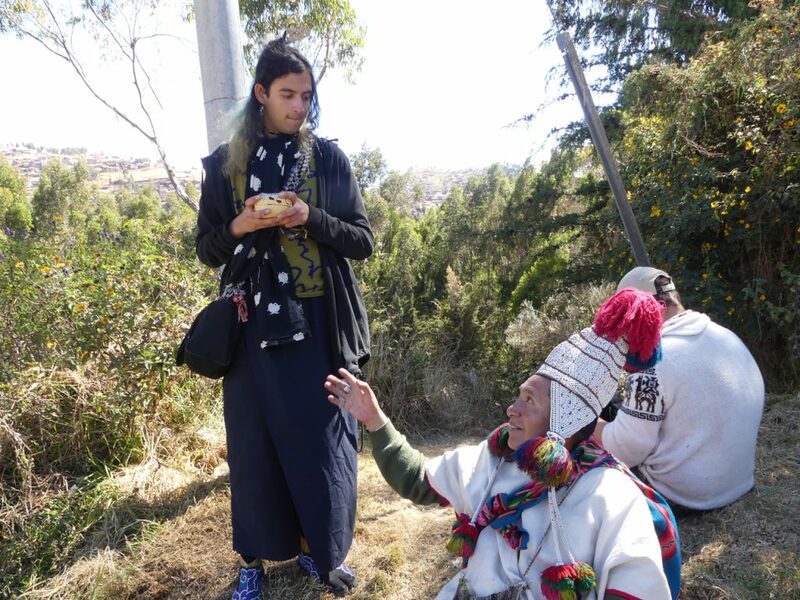 I loved seeing the smiles on the faces of local Mamitas as our group walked about the streets of Paruro in full traditional Andean garb—done with respect and gratitude to honor the village and help preserve fading customs. Some members of our group were especially enthusiastic about volunteering at Cochauwasi animal refuge, where we built shelters for particularly unruly vicuñas in the sweltering midday heat and fed other endangered, ex-trafficked animals. In a highlight of the retreat, we took part in a despacho ceremony, offering a gift and energy to Pacha Mama with our friend Cesar, a skillful and passionate curandero and enthusiastic hugger. As we returned from the ceremony, participants collected trash along the sides of road of their own volition, ensuring me that the meaning of the despacho and indeed of the retreat in general had been conveyed to them beautifully—as much as we gain for ourselves by visiting this beautiful place, seeing incredible things, and engaging in unique experiences, we must also recognize the importance of maintaining a two way relationship with the land; giving back in good measure. Just as the locales the retreats happen in change radically, so do the retreat communities themselves, quite unsurprisingly considering the participant pool differs largely from retreat to retreat. 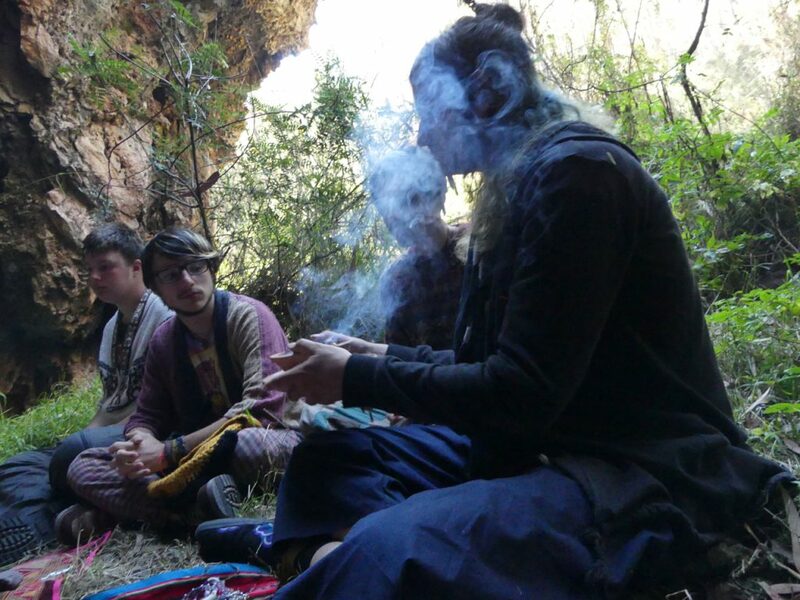 Each community (and therefore each retreat, even in the same location) is unique, and each group of people brings their own uniqueness, passion, creative input, and knowledge; but also their own challenges as well. This retreat’s community brought with it constant bouts of sickness (my first aid experience came in handy), picky eating, some periods of intense negative emotion, and the occasional bear “attack” (ask Miró). There was concern over bedbound family members, over the anxieties of first time travel, and the fetters of parental control awaiting back home. Needless to say, this retreat was not the high-energy experiential learning party with lots of older teens that some can be; but above all we were able to come together as a community (though it may have taken longer than normal), compromise over what we were going to do, and respect and support the needs of other community members. In fact, I feel that the group troubles we had brought out the best in our participants as they supported their peers in unfamiliar territory. Because of this supportive community, activities wildly out of the comfort zone of some (like killing and preparing guinea pigs) became not only more tolerable, but that much more of a learning experience. Learning—or rather aptitude for it—is another thing I greatly appreciated about this group. 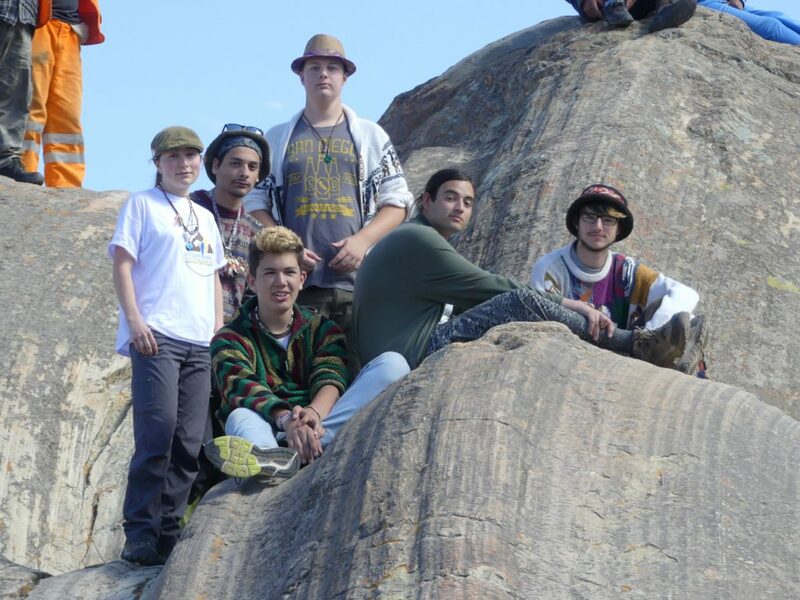 Participants bounced creative and nuanced theories about the disappearance of ancient peoples and construction of seemingly herculean structures off of each other while inquisitively ambling through incredible sites such as Zona X, Tambomach’ay, Pukapukara, Saqsaywaman, and Q’enqo. 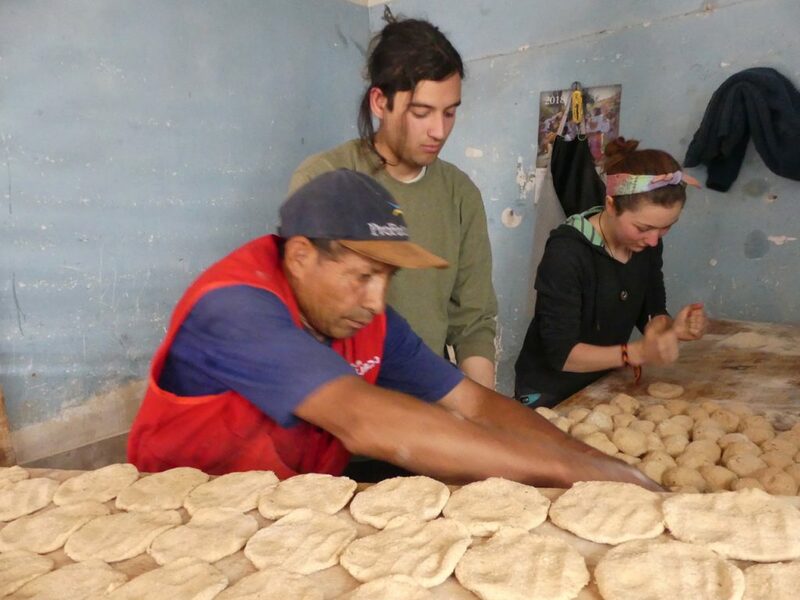 In Paruro, despite the frigid Andean morning, they enthusiastically participated in preparing a traditional breakfast, stirring ch’umpi corn in a toqoychimpu clay vessel until it bore the perfect toasted hue. 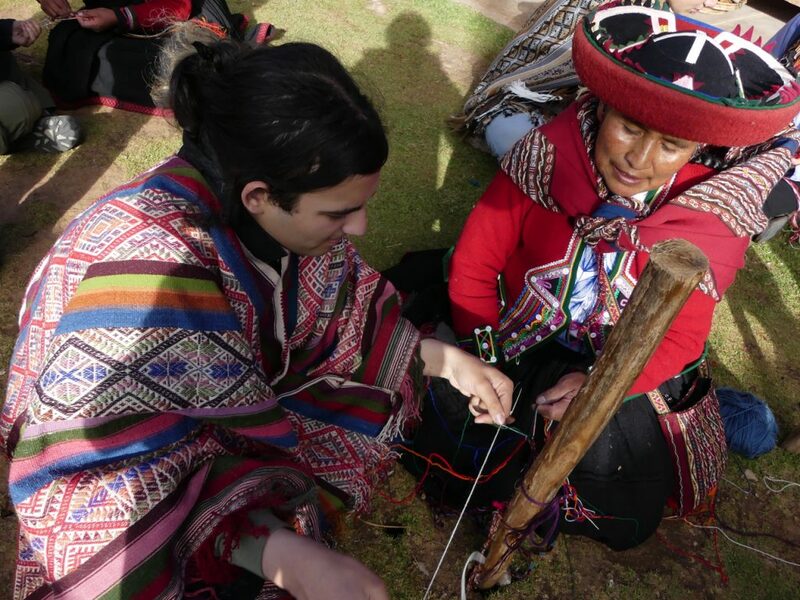 I particularly enjoyed having a long conversation about the Japanese language with a kind Mamita, a relative of Edyy’s, while she was helping us learn to weave in Chinchero. 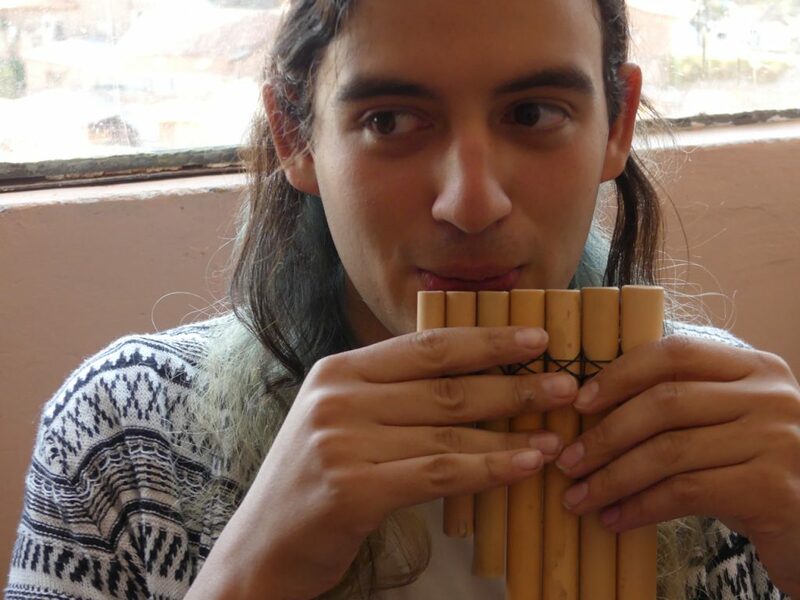 While not everything appealed to everyone (as is inevitably the case), I am sure that everybody got some precious seed of learning out of this retreat that they will continue to foster long after their return to the states, whether it be Andean mysticism, Peruvian cuisine, or even guitar. Even after a long day of traveling and hiking in Ollantaytambo, the group stuck together for a fascinating session on the history of World War 2, led by participant Sam. When the group felt too worn out for even discussion, participant Victoria astutely realized this and led us in a restorative guided meditation—in this way, we learned about community, personal necessities versus wants, and behaviors we enjoy and… don’t enjoy in a group setting; a form of social learning equally important as our acquisition of the retreat’s focus material. Whenever I am asked about my time in Peru, its most famous attraction, Machu Picchu, is ineluctably brought up within the first 30 seconds. The site is certainly grand, but it is nowhere near the most important or impressive thing about the country in my mind. When I think of Peru, the PWS retreats there, and the impact that they have had on my life, the (debatably) ancient Andean motif of duality and planar symmetry, the Chakana, comes to mind. This may just be an oddment of my own perception of the world, but the energies, vibes, and contrasting emotions of our community seemed to reflect those of our host country in some ways. Peru’s political and economic situation is far from perfect, but ultimately the brilliant hospitality, kindness, and familial strength of the Andean people far outweigh these imperfections. In turn, our community, despite its internal squabbles and conflicts, came together in mutual support and understanding as a family should. As our understandings of the old rocks and bones of our host country continuously shifted through interpretation of our own experiences and questioning of what we had been previously taught, so did our understanding of each group member change as we learned more about their unique personalities while the retreat went on. Ultimately, we offered the spoiled fruit of our squabbles and negative energy to Pacha mama, the ever present earth, and left the country fulfilled and reinvigorated while our cast-off anxieties and opprobrium drifted up to Hanan Pacha along with fragrant smoke.